Growing grain and selling grain. These separate businesses intersect all too often with either a handshake or minimal paperwork. Hundreds of Missouri farmers suffered the consequences of that back-slapping system in 2009 after the separate collapses of Gallatin Grain Co., in Gallatin, and T.J. Gieseker Trucking, in Martinsburg. Farmers were collectively owed a staggering $32 million. Both business breakdowns prompted numerous federal and state criminal charges — and one guilty plea. But even more troubling: Both businesses were cleared by Missouri Department of Agriculture regulators just months before falling apart. “We’re not going to be able to prevent every failure, every fraud. They happen all the time across the U.S.,” Missouri Agriculture Director Jon Hagler said in an interview. However, a report issued last year by the Missouri state auditor found several lapses in the department’s Grain Regulatory Service oversight leading up to the insolvencies — problems the Agriculture Department acknowledged and now says have been addressed. “We want to make sure that we minimize the chance that it happens in our state, that we’re doing everything that we can to protect Missouri farmers,” Hagler said. But two years later, the Gallatin and Martinsburg cases continue to reverberate through Missouri’s grain industry as financial losses dog farmers. This joint project of Harvest Public Media and the Midwest Center for Investigative Reporting finds a grain regulatory system where reforms driven by these failures remain unimplemented. Legislation pending before Missouri Gov. Jay Nixon could change that, though the bill doesn’t include a key safeguard in place elsewhere around the country. Meanwhile, the legislation could raise new problems for the industry. And for an industry in which state-licensed dealers reported purchases of $5.4 billion last year, that’s no small matter. “I told a guy I know that farms in the river bottom, I said I know exactly what happens when the river gets you now, it takes everything you get,” said grain farmer Linus Rothermich, who estimates his losses in the Martinsburg breakdown at around $378,000. Missouri’s Grain Regulatory Service currently licenses 237 entities, with a total of 373 separate Missouri grain dealer licenses. Of those entities, 107 are licensed warehouses with 165 separately licensed locations. All warehouses are dealers. Missouri’s licenses represent a total grain storage capacity of 104,953,000 bushels. The annual purchases of all Missouri grain dealers totaled $5.4 billion last year. Closing the barn door now with new rules and reform is of little solace to Walter Burnett, 68, and his son, P.J., who farm north of Gallatin. Row crops grow on about a third of their roughly 1,200 acres. They had roughly 30,000 bushels of grain and soybeans – valued at about $211,000 – stored with Gallatin Grain when the company shut down, the contents of its two grain elevators empty. According to a federal indictment handed down in Kansas City on April 21, Daniel F. Froman admitted to selling all the grain in an attempt to satisfy creditors. He owned and operated Gallatin Grain along with his wife, Pauline K. Froman, who is also named in the indictment, which includes felony charges of conspiracy and bank fraud. Farmers were owed about $4.5 million, according to the state audit. The Fromans allegedly kept some of their transactions off the books to make the business look more solvent to GRS examiners. They allegedly managed their scheme by providing accurate receipts to farmers dropping off grain and then doctoring paperwork for outbound sales activity to hide those deliveries. The couple also face more than two dozen state charges in Daviess County Circuit Court, but those charges are expected to be dismissed in light of the federal indictment. The Fromans pleaded not guilty to the state charges, as well as the federal charges. According to Joel Pelofsky, Daniel Froman’s attorney, the couple “deeply regrets the circumstances and are doing their very best to make everything come out as best they can.” He declined to comment on the specific charges. Insurance didn’t cover the Burnetts’ crop, Walter Burnett said, because they had turned it over to the elevator. They recouped about 11 percent of their losses when the state distributed payouts after liquidating Gallatin Grain’s assets and divvying up bonds posted by the company. Gone with his grain was Walter Burnett’s dream of retirement travelling with his wife. The loss also crimped his ability to pay off a pick-up truck along with a house and 40 acres he had purchased. But the father and son aren’t looking for retribution. Instead of having the Fromans locked up at taxpayer’s expense, they’d prefer the couple stay out of prison, so they can hold jobs, actually pay taxes, and perhaps work off their debts. In fact, P.J. Burnett said, it’s hard not to empathize with the couple a little bit. Regulators can’t control the weather. But in theory, they are there to prevent man-made catastrophes. For instance, according to the audit, the GRS did not require Gallatin Grain to post additional bond in 2008, despite the fact that it showed grain-related liabilities of more than $600,000. In the final review before the collapse, examiners accepted assurances from Daniel Froman that he was expecting $500,000 from outside ventures in the near future. A much grander scenario played out about 200 miles to the southeast in Martinsburg, Mo. There, the GRS missed signs of fraud at a hauler and dealer, which operated at various times as either T.J. Gieseker Farms and Trucking or T.J. Gieseker Trucking. Federal prosecutors said in this case, Cathy Gieseker “stole the livelihood of others so she could buy investments and ‘toys,’” including show livestock. 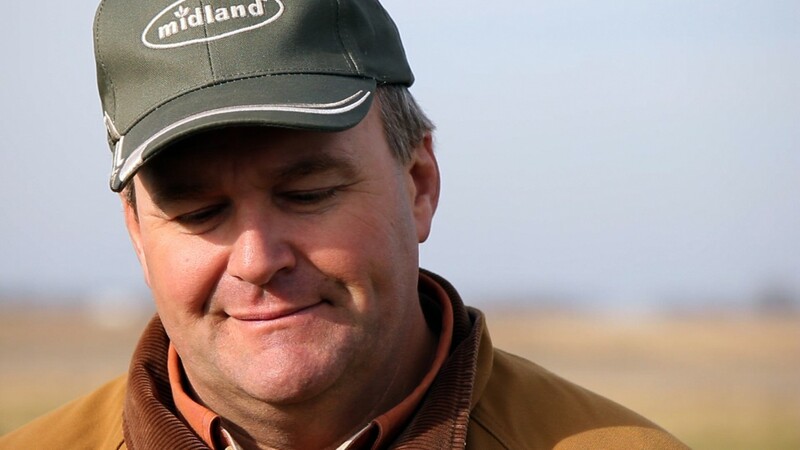 Gieseker would buy grain from farmers at vastly inflated prices, promise to pay them in the future, sell the inventory at current market prices, and pay off just enough of the inflated contracts to keep the scheme going. To justify the prices, she claimed to have secret contracts with Archer Daniels Midland Co. in St. Louis. Gieseker then cooked the books to hide millions of dollars in outstanding grain obligations from GRS examiners. Unpaid contracts in her case totaled about $27.4 million, though claims to the Department of Agriculture from farmers actually totaled more than $51 million based on the inflated prices Gieseker promised. Gieseker is serving a nine-year sentence in federal prison after pleading guilty in November 2009 to mail fraud. She also has pleaded guilty to state criminal charges of stealing and filing false statements with the Department of Agriculture. The 180 claimants have collected an average of about 2 percent of their money from proceeds the GRS was able to pull out of the business. According to the auditor’s report, the GRS examiners could have uncovered Gieseker’s fraud simply by adhering to departmental requirements that they reconcile payment documentation provided to farmers with the intake paperwork filled out upon delivery of the crop. That procedure, according to the audit, would have shown she was operating outside the terms of her license, which required her to pay farmers for grain within 30 days of receipt, and flagged undisclosed obligations. Meanwhile, the audit said, paperwork produced in the field was so poor that supervisors reviewing the examinations could not tell if proper procedures had been followed. But there was another problem: Many of these were handshake deals with no written documentation. The audit points out that farmers themselves didn’t perform due diligence in their transactions with the Martinsburg and Gallatin companies, including at times failing to obtain proper documentation for their transactions or to notice discrepancies in the information on the receipts they did receive. In addition, according to the audit, farmers sometimes ignored attempts by the GRS to confirm with them that the dealers were truthfully reflecting the amounts of their debts. When auditors reviewed some of these communications after the bankruptcies, they found that the farmers were owed more than the amount listed on confirmation. This was part of a GRS policy known as “negative confirmation,” which required farmers to return the form only if the information GRS had on file was incorrect. The audit suggested that GRS consider requesting confirmation in all cases. To that end, GRS hired an additional auditor last year, bringing the number to 11, with a total staff of 15. Two decades ago, the service had twice as many inspectors and double the number of total staff members, leaving some observers to question whether the agency has enough manpower to police the industry. But an Agriculture Department spokeswoman said the current staff reflects advances in technology and fewer licensees (due to industry consolidation). Meanwhile, in the final hours of the session that ended May 13, the General Assembly passed legislation aimed at shoring up the financial underpinnings of the grain industry. It is still awaiting the governor's signature. Require that all licensed grain dealers or applicants maintain a minimum net worth of 5 percent of the total amount of grain purchased in the previous fiscal year – as opposed to the 1 percent to 5 percent range required currently. Establish that dealers post a surety bond equal to 2 percent of their previous year’s grain purchases – as opposed to the 1 percent to 5 percent range required currently. Double the maximum surety bond allowed by law to $600,000. Require that warehouse operators maintain a net worth equal to 25 cents per bushel of storage capacity, up from the current requirement of 15 cents per bushel. Richard Oswald and Steve Taylor agreed that the legislation could add security to the grain industry, but they worried about the cost burdens it would place on dealers. Oswald is president of the Missouri Farmers Union, which represents family farmers, and Taylor is executive director of the Missouri Agribusiness Association (MO-AG), which represents elevator operators and other industries that do business with farmers. Taylor said additional bonding requirements could add about $250,000 in costs to grain dealers throughout the state. And, he said, it could make surety bonds so expensive that some dealers might not be able to stay in business. “It will not benefit a grain producer if his local grain elevator goes out of business and there is less competition for his grain or he incurs more hauling costs for his grain,” Taylor said in March testimony before a Missouri Senate committee. Oswald, meanwhile, said doubling the maximum surety bond wouldn’t necessarily bail out farmers any better than the current level. “I guess it’s a matter of drowning in 10 feet of water as compared to drowning in 7 feet of water,” he said. State Sen. Brian Munzlinger, a Lewis county farmer and chairman of the Senate Agriculture, Food Production, and Outdoor Resources Committee, sponsored the bill. He said the value of increasing the surety ceiling lies mostly in the fact that it will prompt bonding companies to scrutinize dealers’ books anew as they apply for additional bonding. But, the legislation still would leave Missouri without a safeguard available to farmers in several other states around the country: an indemnity fund that would help cover losses in cases like the 2009 bankruptcies. Fourteen states have such funds, according to the Association of Grain Regulatory Officials, and five border Missouri: Illinois, Iowa, Kentucky, Oklahoma, and Tennessee. According to last year’s auditor report, the funds cover anywhere from 75 percent to 100 percent of losses. Based on 2008 prices, according to the audit, if Missouri had charged farmers 1 cent per bushel, it would have created a $6.6 million fund. Establishment of such a fund makes sense to the Burnetts, the Gallatin-area farmers. But others say the focus of regulation should be on preventing problems rather than cleaning up after the fact. The vast majority of grain dealers are “rock solid,” Taylor said. Munzlinger said he believes a chastened GRS is doing a better job now after its past regulatory mishaps. And he is seeing his fellow farmers pay more attention to details in their transactions, and so is Walter Burnett. Plus, just about everybody Burnett knows is adding storage capacity on their own farms, cutting down on the need to store grain in elevators. He and his son have purchased seven used bins to add to the five they already had. But that does not come cheap. Storing your grain on your own property means you have to add insurance, Burnett said. And, it can add operational costs. P.J., for instance, got hit once with a $1,100 monthly electric bill while running dryers in a few bins. Wet corn can spoil. But as the events of two years ago prove, a damp crop is not the only way to lose money in the grain industry. In hindsight, both farmers and regulators seem to share blame for the financial mess. Munzlinger said the General Assembly was right not to rush to judgment. Had lawmakers passed legislation in the immediate aftermath of the insolvencies, they might have heaped too many regulations on dealers and warehouses. He’s hopeful that the legislature struck the right balance in the legislation pending before Nixon, but even Munzlinger is uncertain. Freelance writer Lauren Hasler contributed to this report.